Argentine trio The Norris Trio have been on the South American jazz scene since 2007 but have a distinct modern quality that should appeal to fans in both hemispheres. 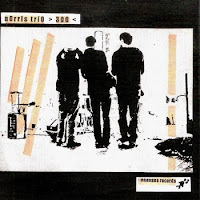 A blend of classic bop and free jazz, built in the same tradition as Dennis Gonzalez, The Norris Trio provides an exciting listening experience. Especially when you've been given a dose of the trio's fourth album, 300. "La Risa Del Eco" is fueled by sharp lines from Norris and an insatiable rhythm laid out by Diaz. Norris' trumpet lines have an elegance of Dizzy Reece or Clifford Brown - bright and crisp. Bortoli's bass rises as the piece moves into the middle stages. The trio turns quieter and extends into more improvisational exchanges while still managing to keep a traditional edge. Wonderful stuff. "Tres Pronosticos" and "P.M." both provide element free movement and minimalism. The added touch of keyboards on "Tres Pronoosticos" makes the track a little ominous. While "P.M." may refer to that late night dream that keeps you up til all hours, the rampaging drums and circular tones of Bartoli and Norris will pull you into a violent black hole. But it's probably worth it. "A veer" is as the title suggests, a slight change in direction. A stoic ballad in minimal notes. Norris and Diaz utilize the space between and during their exchanges, and Bortoli weaves his way back and forth. The echos of Diaz' drum kit add a hauntingly beautiful flavour to session. There are times when The Norris Trio can sound like some of the best trio and quartets of the hard bop era. But then you realize this is only the foundation. Then you listen closer and you can hear the adventurous nature in every tune. 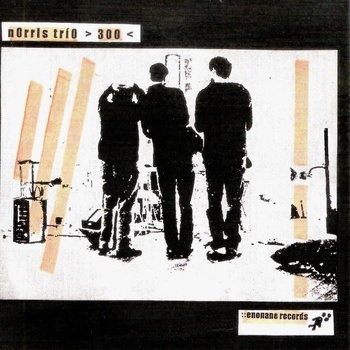 The Norris Trio, I hope, will gain more traction among a wider audience in the coming year. This is a trio that has probably been a secret for far too long. 300 is a definitely must listen.